Montreal’s overall price growth during the first quarter of the year significantly outstrips that of Toronto and Vancouver, according to the Royal LePage House Price Survey released last week. The median home value in Montreal Centre enjoyed an 8.1% year-over-year increase to reach $406,332. This is far above the movements observed in the Greater Toronto Area (3.4% growth to $836,425) and Greater Vancouver (1.5% shrinkage to end up at $1,239,306). “Greater Montreal kept up its momentum with the eleventh consecutive year-over-year price increase, rising above four per cent in the first quarter of the year,” Royal LePage for the Quebec Region president and director Dominic St. Pierre said. A robust economy – especially apparent in low residual unemployment rates of 5.3% in Quebec as a whole and 7.3% in the city – proved to be a major boost for the Montreal market. 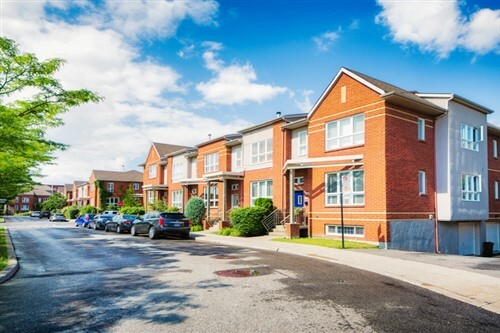 Breaking down by asset class, the Greater Montreal Area’s two-storey homes saw a 6.4% annual average price increase during Q1 2019 to reach $514,412. Condo values also went up by 5.2% to $328,488.